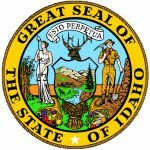 Now Available: Idaho District & Magistrate Court Records! CourtTrax Corporation is pleased to announce that we have expanded our services to include electronic access to Idaho District & Magistrate Court records from the following counties: Ada, Blaine, Boise, Camas, Canyon, Cassia, Elmore, Gooding, Jerome, Lincoln, Minidoka, Owyhee, Twin Falls and Valley. The State of Idaho is currently in the process of bringing each of their county’s court records into a brand new case management system, with the above-mentioned counties already online. The state’s current schedule targets the Fall of 2018 for the completion of this transition process. As the state migrates new county court data into the new system, these counties will also become available via CourtTrax! Serving a population of over 1.7 million people, the District & Magistrate of Idaho makes publicly available Civil, Criminal, and Probate case records. If you have any questions about the Idaho courts, or any of other other products and services, contact us at customerservice@courttrax.com or give us a call: 866-643-7084 (Option 2).